Newnham on Severn is an excellent base to explore the picturesque Forest of Dean. the Environment Agency has some advice on safety when watching the Bore. We make it too easy! Some local boring events and pictures of past bores. Here’s a video of Gwyn Thomas visiting Newnham in the mid 1970s – Things have changed a bit! This is Google’s Street View of Newnham take a walk around. There are some older pictures of places around the village on www.historypin.com Just type in Newnham on Severn in their search box and you should find them. Once there you could try adding your own photos and comments. There are some nice pictures of Newnham from the past at www.sungreen.co.uk . 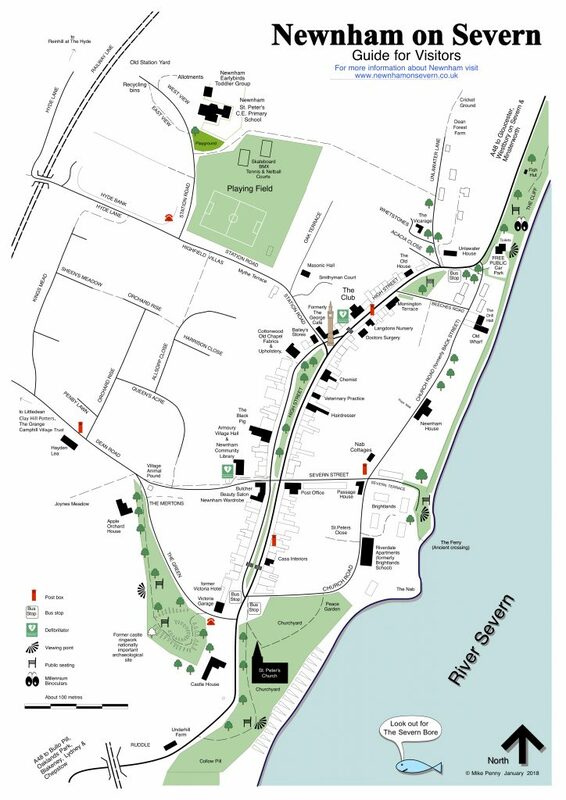 Download a useful map of Newnham that you can print out for your own use. Printed copies are also available in Newnham Post Office.